Shortly before I was elected to the board of Tempe Bicycle Action Group (aka TBAG) I began working on Mill Avenue in downtown Tempe after a 3 year absence. I started to commute to work 3 days per week at 6.7 miles each way. The building I was working in had showers so it was very convenient. Wake up, throw on biking clothes, bike, shower, work, ride home. My motivations for joining TBAG were simple at first, get more people on bikes, as I interacted with the new board members my goals became more refined. I orchestrated Tempe’s first known Bike Valet for the METRO light rail grand opening. With the help of board members we built 25+ wooden bike racks (elevated saw horses, essentially) to make bike valet a permanent fixture at large events in Tempe. 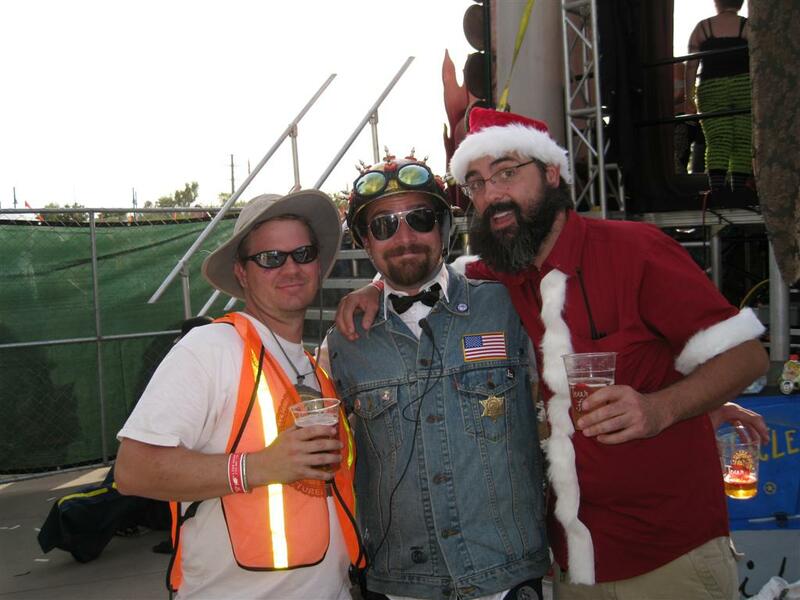 The METRO bike valet was a flop, but we went on to succeed with several large Tempe Beach Park events including the Great Arizona Beer Festival and Oktoberfest. In 2009 we parked close to 1,000 bikes. Come October 2009, I had my first experience on the “other” side of the fence for Tour de Fat. I was the main point of contact for volunteer coordination for the entire event. Along with months of pre-planning and volunteer recruitment, I worked closely with the Tour crew from New Belgium Brewing (great folks, by the way!) and while there were some hiccups early in the day we pulled off what I thought was a great Tour de Fat. In fact, Tempe set a new record for the most money raised in the 10 year history, just over $75,000 gross. Tempe is also 2nd in attendance coming in at about 10,000 in 2009 compared to Fort Collins, CO (New Belgium’s hometown show at the brewery) which racked up 14,000 attendees. I don’t think I stood still for more than 15 minutes the entire event, and were it not for the kegs of beer backstage, I would’ve passed the entire event completely sober (which would have been quite a contrast to the 3 years prior). 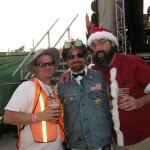 I was so busy that this is one of the few pictures I had a chance to take (or have taken, I should say), click the little icon that follows for a shot of Stan (from MBAA), Crafty (from New Belgium) and I (dressed as “Summer Santa”) backstage after the event ( ). I’m thrilled to hear that your dharma realization has come full circle. As I too have learned that personal transformation does not involve self-improvement but self-remembering. Peddle on my friend the universe will conspire to make your dreams a reality.